Mrs Clare's Books: Upcoming: Author Interview with Kylie Griffin! On Thursday, March 28th, Kylie Griffin, author of the incredibly addicting Light Blades series will be here to discuss her books in anticipation of her upcoming release Allegiance Sworn. Stop by between March 28th and the release date, April 2nd, to participate in the discussion and be entered to win a swag pack. Kylie has some terrific answers to questions I know you've been wanting to ask. 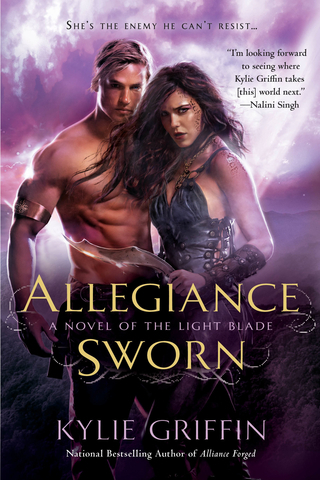 So stop by and get the scoop on the sensational Light Blade series.